Need more information about booking Property 5842837 ? 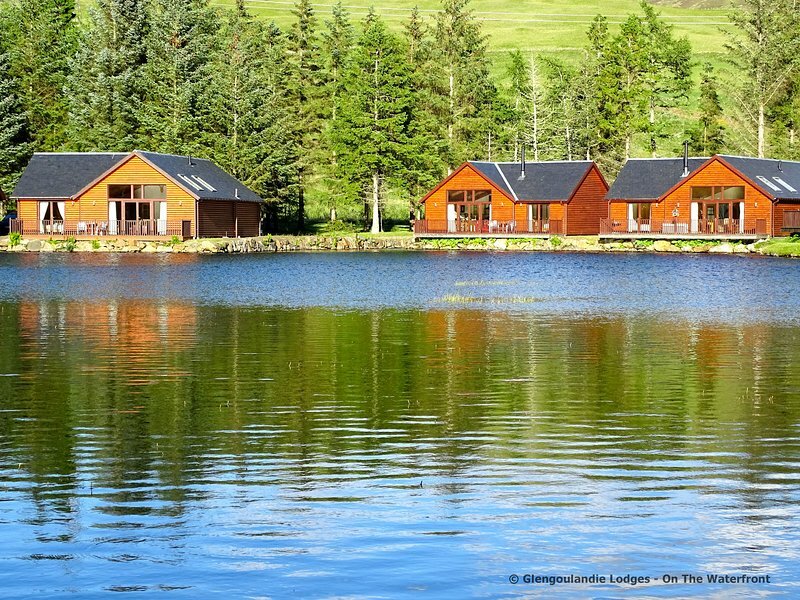 Our three luxurious self-catering Lodges are unique to us and are situated on the waterfront of a beautiful Highland Lochan within Glengoulandie Country Park, in the heart of the beautiful Perthshire countryside, an area of outstanding natural beauty. Our Lodges are ideal for older families and sit right on the edge of the loch, with wonderful views across to Glengoulandie Deer Park and mountains beyond, with the peak of Schiehallion, the 'Fairy' mountain just visible. Furnished to an exceptionally high standard, and with thermostatically controlled under-floor heating throughout, your stay will be warm, comfortable and luxurious. A Wood Burning Stove, for those cosy evenings with the family. Bright, spacious, open plan living room / dining room with vaulted ceiling, oak flooring, and comfortable sofas. Large picture windows to make the most of the amazing views from the lounge and master bedroom. French doors lead out to a large balcony overhanging the edge of the Lochan. The fully equipped kitchen, with top of the range appliances and a spacious dining area give the Lodges a feeling of home away from home. Three generous sized bedrooms (Two Kingsize and one Twin) with comfortable beds and fitted wardrobes. All with luxury en-suite / private bathrooms which are tastefully tiled. Master bedroom has its own French doors leading onto the waterside balcony and the ever changing seasonal colours. A beautiful setting for an idyllic relaxing holiday. And a superb base to enjoy the spectacular scenery amongst the great outdoors; with plenty of places to go and lots of sports and other activities in the area to enjoy. Loch Tay, Loch Tummel, Loch Rannoch and Glen Lyon all within easy reach. The local towns of Aberfeldy and Kenmore are just a few miles down the road. Pitlochry and Dunkeld are also nearby. The very popular House of Braur, with its wonderful shopping and fantastic restaurant, is well worth a visit. Wildlife enthusiasts will enjoy the wide variety of bird life, both resident and seasonal visitors throughout the year. An inspiration for landscape as well as wildlife photographers – sunsets and rainbows abound. Minimum 7 night stays during peak holiday periods. Outside these time periods shorter breaks are available. The Lodges are strictly for a maximum of 6 people. Ideal for older families, we have a minimum age of 10 years for Children. Hen/Stag or similar Party groups are strictly prohibited. Bicycles not permitted in the Lodges. Disposable or other BBQs are not permitted on the property. Candles not permitted inside the wooden Lodges (safe alternatives are provided for our Guests). Stove cleaned & logs provided by Owner - see Mobile Hospitality Manager for details. If Guests are found in breach of the above conditions, all Guests will be asked to leave the property immediately. Thank you very much for you cooperation and your understanding. Nearer the time of your stay, detailed directions and key safe access information will be emailed to you. The Lodgss are strictly for a maximum of 6 people. Ideal for older families, we have a minimum age of 10 yrs for Children. No Bicycles permitted in the Lodges. No Candles permitted inside the wooden Lodges. Stove cleaned & logs provided by Owner. If found in breach of this, all Guests will be asked to leave the property immediately. If you’ve already booked, go to Manage your booking to view Russell the owner's contact details or send them a message. Or send Russell (the owner) an inquiry through the Contact the owner/manager form if you’d like a quote or more info first. When you pay online through the Ready to book? form, a booking request is sent to Russell (the owner). You’ll find out within 24 hours whether they’ve accepted - no money will leave your account before then. Use the Ready to book? form to pay provisionally online. You can pay by credit/debit card or PayPal. Russell (the owner) will have 24 hours to accept the booking and no money will leave your account before then. You’ll need to contact Russell (the owner) to do this. 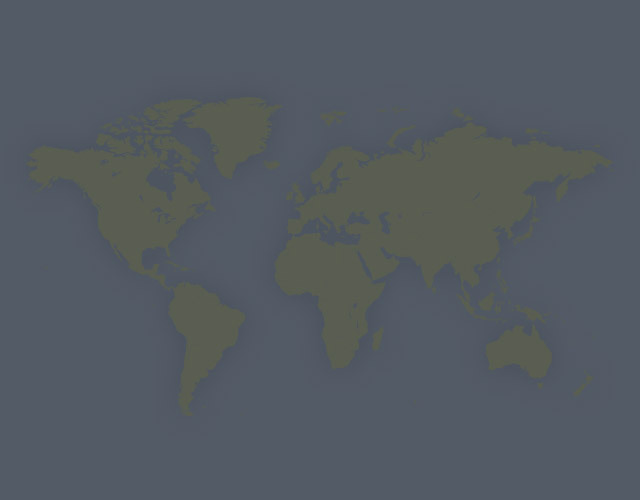 Send them a message in Manage your booking or through the contact form on this page. You can request to change the dates or number of people on your booking via the Manage your booking page. To change your dates use the Edit booking button. If you need to change the number of guests staying then send Russell (the owner) a message. If Russell (the owner) agrees, they’ll send you a revised quote outlining the changes. You can review and accept/decline this from the Manage your booking page. You’ll have 48 hours to take action before the revised quote expires.